R.I.P. 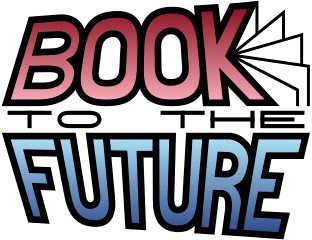 Book to the Future, November 2006 - April 2009. I am leaving this webpage online for my own personal reference, there's not much reason for anyone else to be visiting it now that the store is out of business. Paperbacks are sold for 1/2 of their cover price. Ignore any price stickers. Paperbacks may be traded in for store credit, at 1/4 of their cover price. Wrong genre (science fiction & fantasy only). Too many copies of that title already. Trade credit/gift cards cannot be redeemed for cash, nor replaced if lost. Online inventory lists: complete inventory (big file, may take a long time to load), or only books acquired in the last month, last week, or just yesterday. Note that these lists are horribly out of date, due to hard drive failure on my inventory system. Click here for more information about these lists. ISBN lookup services provided by Amazon.com.